Alexander Ovechkin put Zdeno Chara in unfamiliar territory early in a game Thursday night between the Washington Capitals and Boston Bruins. Alexander Ovechkin put Zdeno Chara in unfamiliar territory early in Washington's win over the Boston Bruins on Thursday. 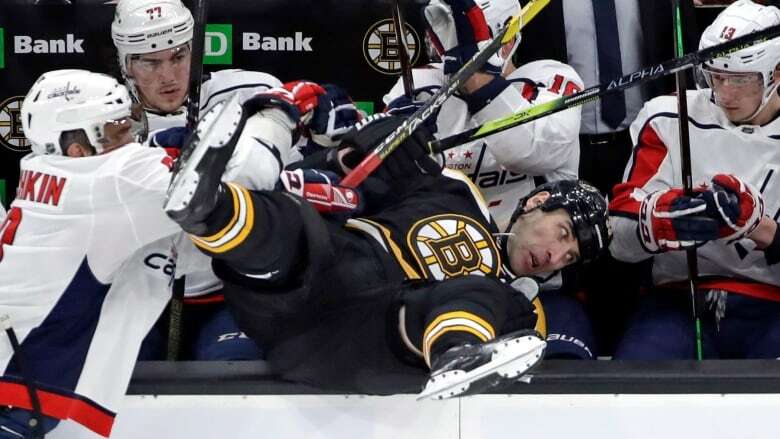 Chara, the NHL's tallest player ever at six-foot-nine, was flipped head over heels into the Capitals' bench on a shove from the six-foot-three Ovechkin late in the first period. The 41-year-old Chara has made a name for himself delivering bruising hits. Adding insult to injury, Ovechkin scored his league-leading 31st and 32nd goals in the Capitals' 4-2 win.